There is a new drug out on the streets…invading the playgrounds…and maybe even creeping into your living room as we speak. Perhaps you’re one of those lucky parents whose kids have not yet discovered the world of Minecraft. And, if you are, I wish you for you to enjoy the precious time you have left. However, if you are like many parents sitting out there right now, reading this story instead of playing games because your children are completing monopolizing the electronics with their Minecraft obsession, then you, my friend, know exactly what I’m talking about when I say Minecraft is a drug. 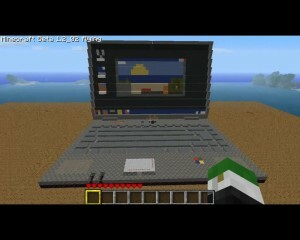 Boy or girl, young or old, kids everywhere are obsessed with Minecraft. Something about the blocky colorful world just pulls kids in and holds them tight in its grip. 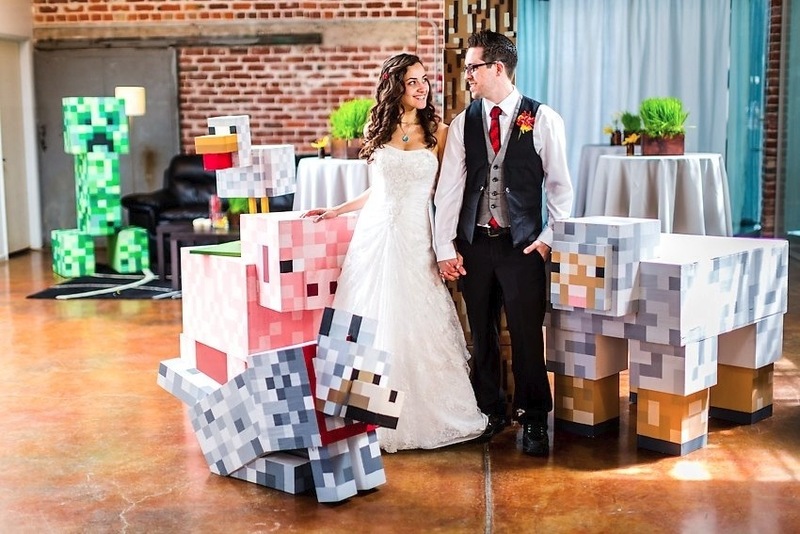 Sure, there are tons of adults who are obsessed with Minecraft, but it just seems to be on a completely different level than that of the children. 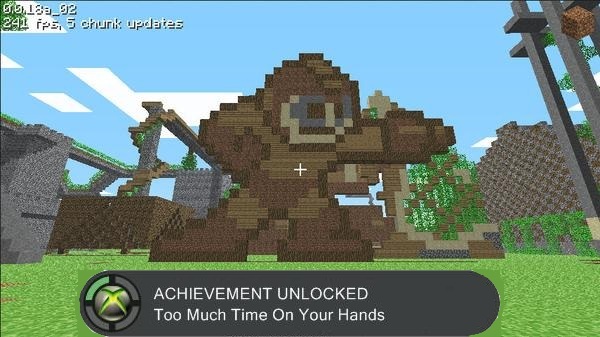 As a parent, aunt, friend, and neighborhood hangout owner, I have seen the power of Minecraft, and it is some potent stuff. Now, let me give you a little background. My kids are gamers, all five of them, and they have all been gamers almost since they could hold a controller. And they have loved many, many games….LittleBigPlanet, MarioKart, Super Smash Bros. Brawl, just to name a few. They have become obsessed with so many games throughout the years, but none to the extent of Minecraft. And none has captured so many of their friends, either. In fact, all summer long, the icebreaker for introducing them to new kids has been “Do you play Minecraft?” Inevitably, the answer has been “yes”, and hours of heated conversation always ensued. Talk of favorite servers, tips for avoiding creepers, and how to acquire the coveted diamond armor has seemingly completely replaced comparisons of Hot Wheels cars of sports feats. These kids are Minecraft addicts. 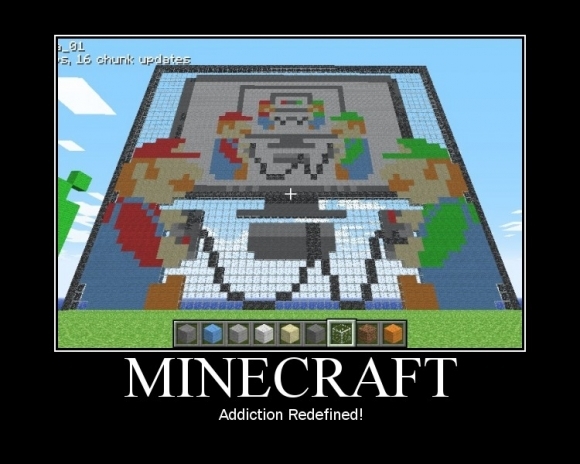 Every waking hour is spent either playing Minecraft, begging to play Minecraft, or talking about Minecraft. That may seem like a slight exaggeration, and perhaps it is, but it sure seems to have wormed its way into every aspect of their lives, and I’m not the only one who thinks so. Just as the kids have bonded over their love of all things Minecraft, so have the parents come together as one to complain about their kids’ obsessive love of all things Minecraft. My teen spends hours building and chatting with other players about what he’s building; my nieces mine obsessively on their tablets; my eight year old son has a standing date with a little girl from Texas to perfect their shared world; the neighborhood kids beg daily to come over and do multiplayer on the Xbox; and all of them constantly text back and forth about which is the server du jour. Now, don’t get me wrong. There are a lot worse things for your kids to be obsessed with. Minecraft is a relatively harmless game, with only the mildest of cartoon violence, no profanity, and little that any parent could object to. And the aspects of mining and building things to be just perfect could actually even be considered educational in many ways; and if nothing else, it gets them thinking, which is always good. At first, I really just thought Minecraft was a bargain. Sure, it is boring as heck to watch, but the kids love to play, the Xbox360 version allows for up to four players locally, they can connect with their friends online – and all that for a pretty low price, considering the amount of play they get out of it. But who would think that mining and building, and mining and building some more in an 8 bit world would be an obsession with such staying power? Months after purchase, Minecraft gets played every single game time, and it’s the first thing visitors ask for when they walk in the door. So thanks, Minecraft….for a bargain price, you’ve stolen my children’s hearts….and my controllers.